I know, what am I teaching these boys right? Genuine shrunken heads at Ripley's and some genuinely scary chastity belts at Medieval Times are just two of the interesting things we have found in our travels through Kissimmee and Orlando. That is FREAKY! 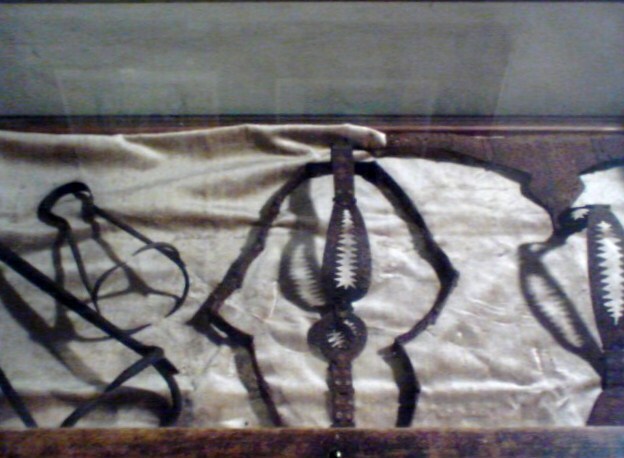 I have seen some weird things including the Shrunken Head at a Ripley's Museum last year but the Chasity Belt just hurts to look at. How was medieval times? I have always wanted to go since I saw The Cable Guy with Jim Carey. It was really good. The food was tasty, but be warned, you only get to eat with your hands. The boys made themselves hoarse cheering for our section's knight. It was a great show and you should definitely go! Those are both just really creepy! Yeah those are super creepy LOL I went to the Ripley's in San Antonio, and the one display that has stuck with me (it was over 15 years ago) was the foot binding display! Scary stuff! I'm so glad we're beyond chastity belts now. I can't imagine those were comfortable. Holy cow .... SO not what I've always imagined a chastity belt looking like! Oh wow, crazy crazy and perfect to Halloween coming up! But that chastity belt! Oh my goodness - that things looks horrible...I bet it worked though!!! wow, shrunken head is pretty creepy I'd say.